Berthing a ship safely at a port is an art, which is developed through consistent practice, along with adequate knowledge and skills. Navigating officers have to keep several important points in mind while handling a ship while entering or leaving a port. In order to carry out these operations safety, there are a few important points that need to be considered. 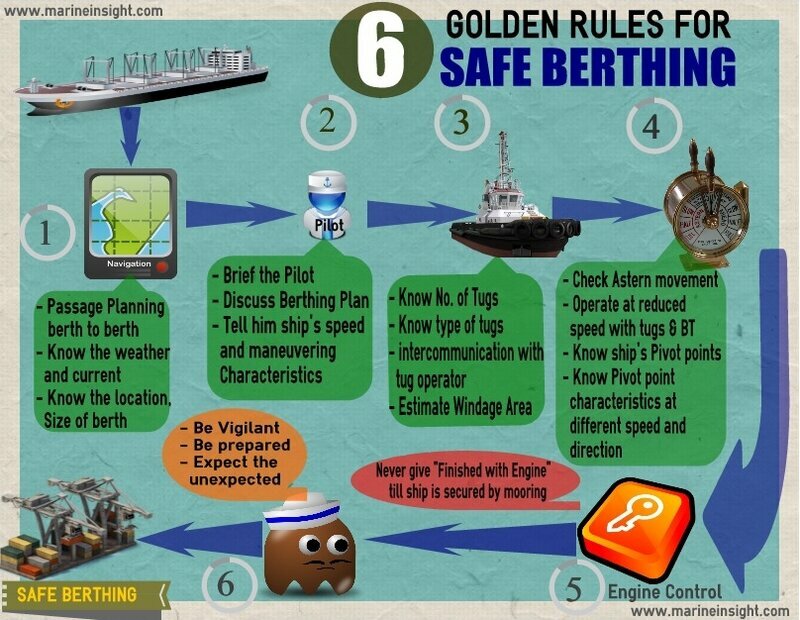 In this infographics, we have mentioned six important rules for birthing a ship safety at any port.